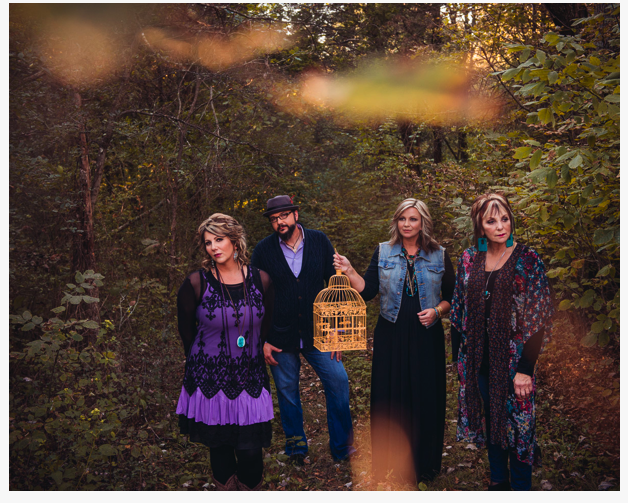 Hendersonville, TN (September 2nd, 2016) – Esteemed Gospel family-group, The Isaacs, are pleased to present the latest contribution to a vast catalog of acclaimed music, entitledNature’s Symphony in 432: A Journey From Pain To Praise. Nature’s Symphony in 432 has been a labor of love for the musical family, comprised of siblings Sonya, Ben and Becky, and their mother Lily. Born out of a season of pain and struggle, each song is a personal testimony that speaks to the faithfulness of God and offers praise and rejoicing to the Lord through the trials of life. After much research and prayer, the group chose to record the project in 432 tuning, the frequency which most closely reflects the sounds found in nature, further setting this 15-song collection apart from other recorded albums. Fans of the Isaacs know that the award-winning group cannot be confined to one musical genre; a fact that is well reflected in this new release. From the triumphant rejoicing found in ‘This Is The Year’ and the country-driven feel of ‘Keep Breathing,’ to the heart-felt ballads of ‘I Love You More,’ and ‘If That’s What It Takes,’ and worshipful praise of ‘Lord Of My Heart,’ each song reflects a different angle of the project’s subtitle, A Journey From Pain To Praise, all while singing the praises of a sovereign and faithful God and staying true to the beautiful and intricate harmonies that are unmistakably the Isaacs. The first single from Nature’s Symphony in 432, entitled ‘This Is The Year,’ is at Southern Gospel radio now. The project is available to the Christian marketplace exclusively through New Day Christian. Mainstream and digital distribution are provided by Sony RED.